Kids love having different ways to learn. 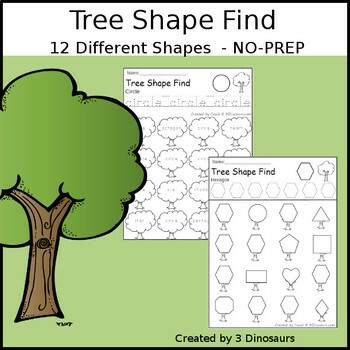 The Tree Theme Shape Finds are great to get kids reviewing or learning their shapes with a fun tree theme. This is great for Earth Day or Arbor Day! Each page has a shape or shape word you are working on. 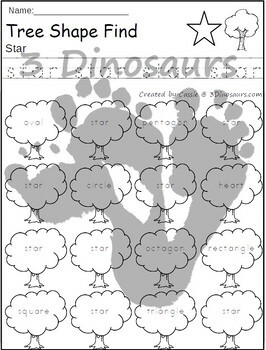 You can trace that word or shape then dot or color the word or shape on the tree. Plus this is a No Prep printable. That means you can just print and use them. You can print the letters that your students are learning. This has the following shapes: circle, square, triangle, rectangle, rhombus/diamond, oval, heart, star, crescent, hexagon, octagon. 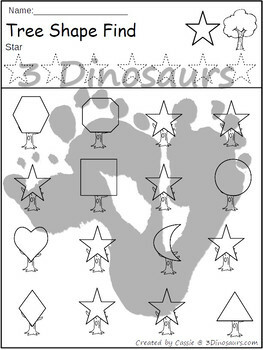 There are shape word and geometric shape option in this set. Check out the preview to see a sample of this printable.